New facial recognition software and app invented at Michigan State University can help protect endangered primates—more than 60 percent of which face extinction. Jain and his doctoral student Debayan Deb harnessed the prowess of his world-renowned biometrics lab—which has helped solve high-profile crimes ¬- to create PrimNet. The program uses convolutional neural networks, artificial-intelligence inspired technology that allows everything from self-driving cars to robots to observe and understand our world. The results, featured on Cornell University's arXiv, show that in head-to-head comparisons, PrimNet outperformed state-of-the-art face recognition systems, including SphereFace, FaceNet and LemurFaceID (a predecessor of PrimNet that Jain's lab also invented). Along with improved accuracy, PrimNet represents a more cost-effective as well as a far less invasive approach to primate tracking. Traditional tracking devices can be expensive, ranging between $400 and $4,000. Capturing and tagging animals can be time-consuming and can adversely affect the animals. The process can disrupt social behavior, and it can cause stress, injury and sometimes even death. To complement PrimNet, the team of scientists created an Android app, PrimID. Researchers in the field can now snap a photo of a golden monkey, drop it into the app and identify the primate in question with a high degree of confidence. In many cases, PrimID will produce a match that's greater than 90 percent accurate. (With lemurs, PrimID scored an impressive 93.75 percent accuracy.) If it's not an "exact" match, the app will offer up to five potential candidates from the dataset, corresponding to the top five confidence ratings. "We compared PrimID to our own benchmark primate recognition system and two, open-source human face recognition systems, and the performance of PrimNet was superior in verification one-to-one comparison and identification, or one-to-many comparisons, scenarios. Moving forward, we plan to enlarge our primate datasets, develop a primate face detector and share our efforts through open-source websites." This invention, along with sharing it open sourced, provides another tool to offset wildlife trafficking. For example, if a captured great ape can be photographed and identified, knowing its origin can offer insights to its capture and help improve efforts to deter future crimes. 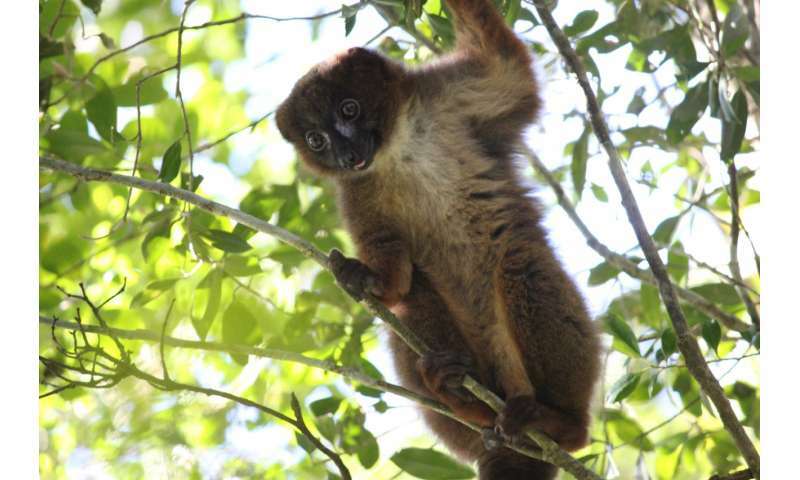 Can facial recognition systems help save lemurs?